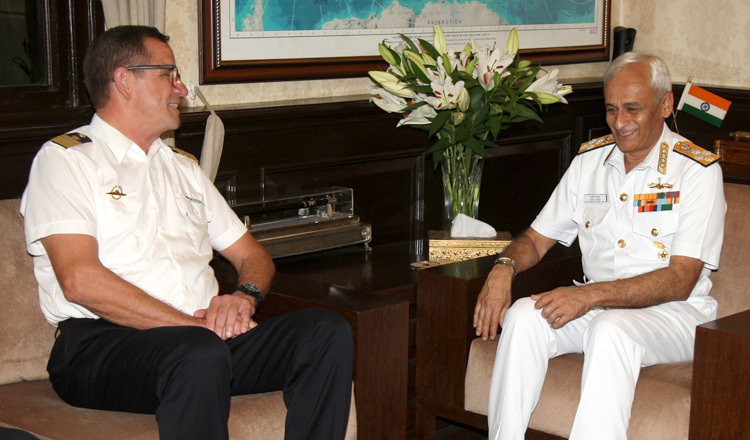 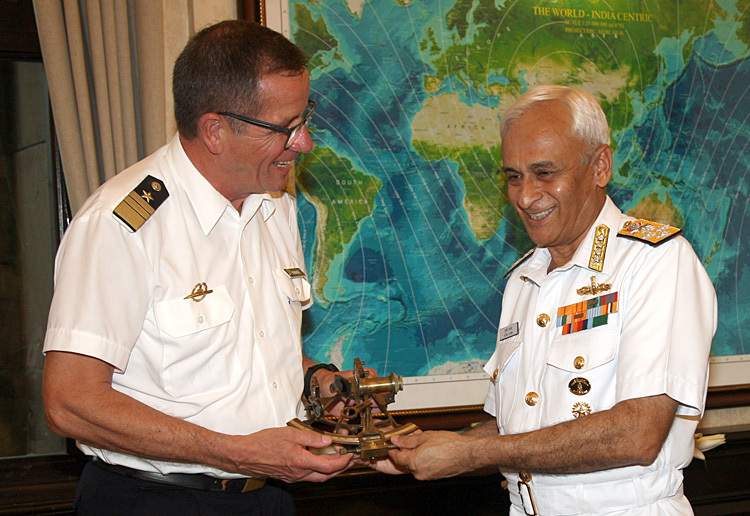 Vice Admiral Andreas Krause, Chief of the German Navy, who is on a four day official visit to India called on Admiral Sunil Lanba, Chairman Chiefs of Staff Committee and Chief of the Naval Staff at South Block on 18 October 2018. 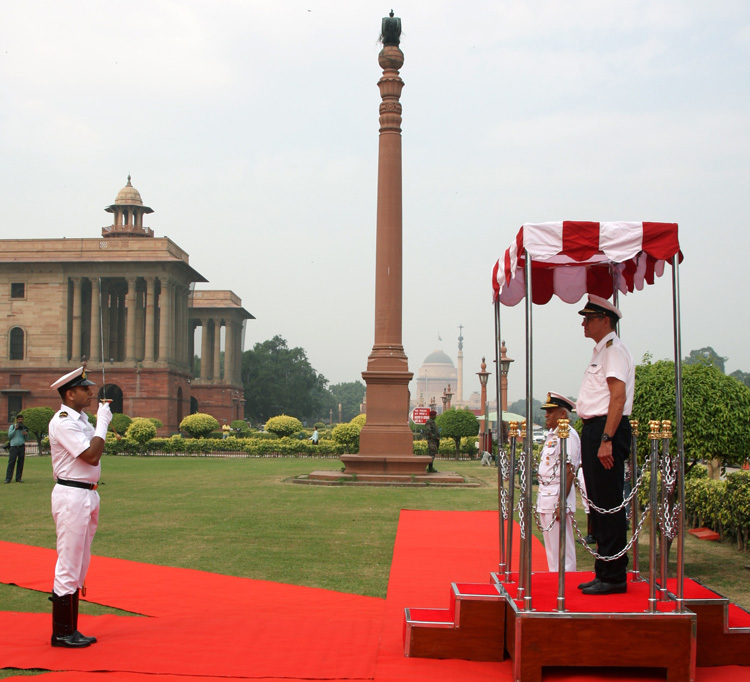 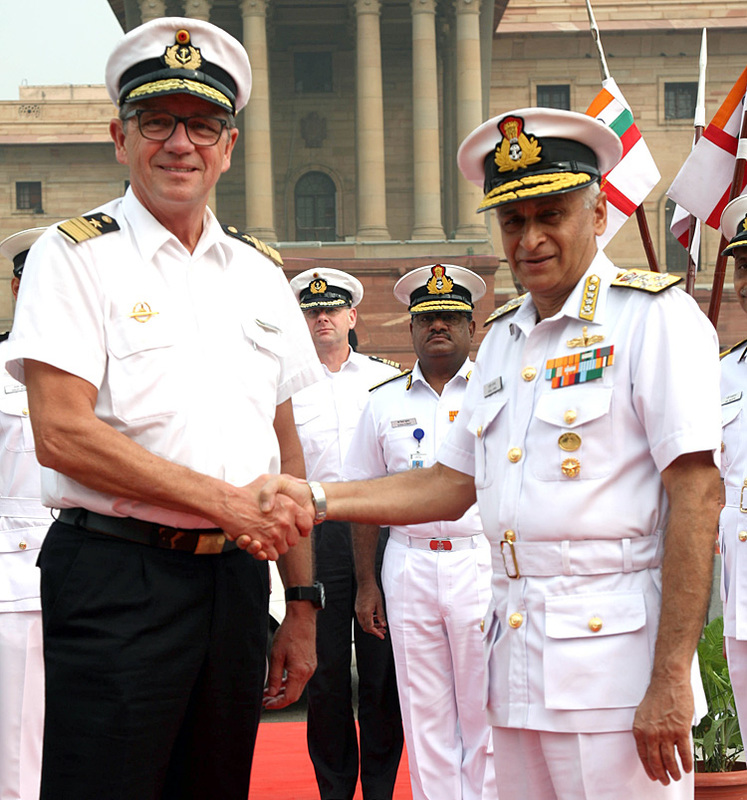 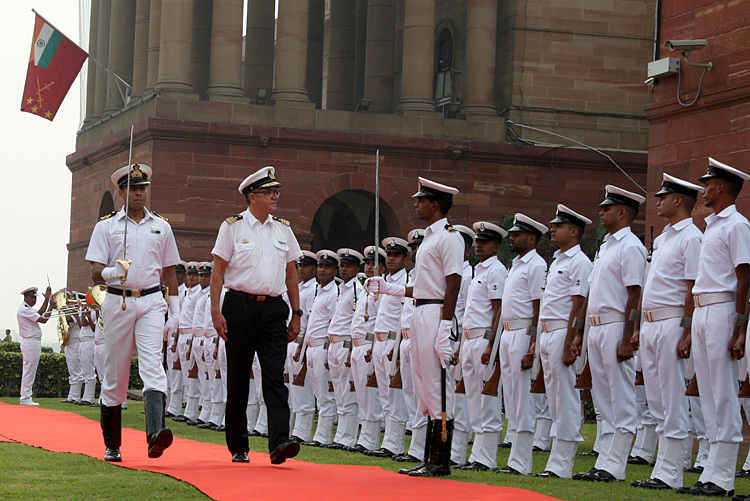 The Chief of German Navy laid a wreath at the Amar Jawan Jyoti and was accorded a traditional Guard of Honour. 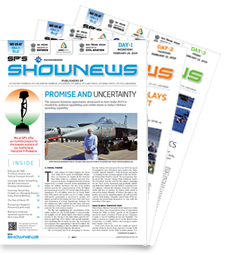 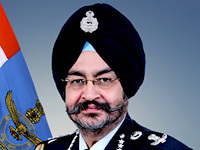 He also held extensive interactions with the senior hierarchy of the Indian Navy and with the Chief of the Army Staff, Defence Secretary and the Vice Chief of Air Staff. 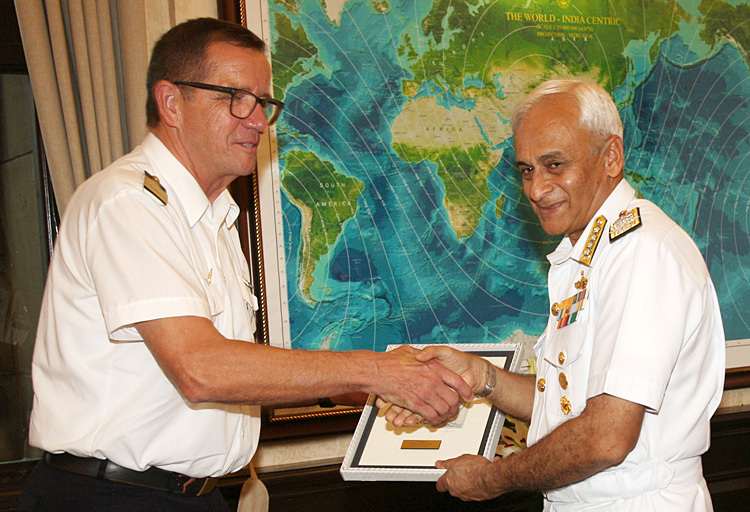 The visit by the Chief of German Navy is a significant milestone in Indo-German Naval relations and would strengthen military ties between the two countries.